Someone is trying to kill Lila Hilliard. During the Christmas holidays she returns from running errands to find her family home in flames, her father and brother trapped inside. Later, she is attacked by a mysterious man on a motorcycle . . . and the threats don't end there.As Lila desperately tries to piece together who is after her and why, she uncovers information about her father's past in Chicago during the volatile days of the late 1960s . 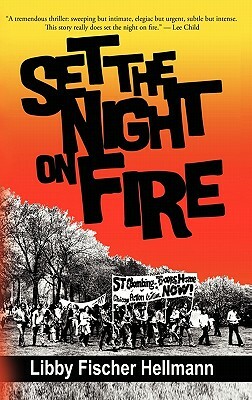 . . information he never shared with her, but now threatens to destroy her.Part thriller, part historical novel, and part love story, Set the Night on Fire paints an unforgettable portrait of Chicago during a turbulent time: the riots at the Democratic Convention . . . the struggle for power between the Black Panthers and SDS . . . and a group of young idealists who tried to change the world.